Country music hit-maker Luke Bryan dishes on the tender and romantic ballad "To The Moon and Back" in a recent interview here! Looking for the right way to tell your girl how you feel about her? Country music superstar Luke Bryan has you covered. His song “To The Moon and Back,” written by Hillary Lindsey, Tony Lane and Tom Douglass, is a perfect and sincere way to remind the woman you love how you feel about her without the added gushiness. It’s true that the song is a little different than Bryan’s usual tough-guy vibe. It’s sincere and authentic, as if you can feel Luke himself singing directly to you. This song will undoubtedly be called “our song” by a couple or two. 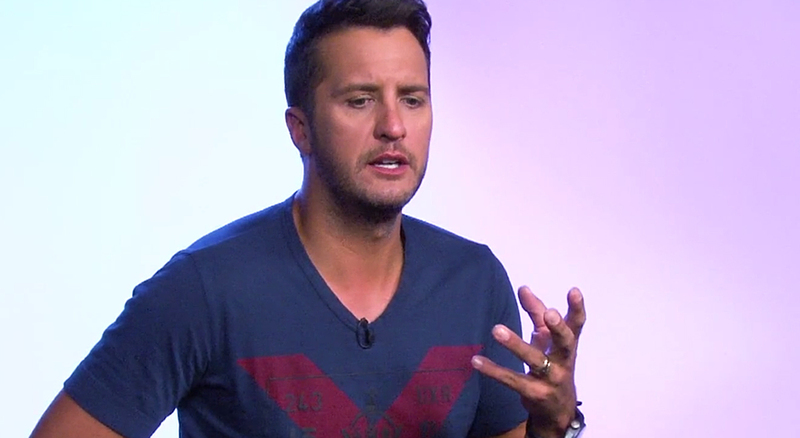 Luke Bryan reminisces on the first time he heard the song, and how he felt about making it his own. The song was released as one of 13 songs on Bryan’s 2015 album Kill The Lights on August 7th of that year, with “Kick the Dust Up” as the lead single. This album also housed Bryan’s laid-back tune Huntin’ Fishin’ and Lovin’ Every Day, the song that gave a title to his upcoming national tour. Bryan is set to embark on the Huntin’ Fishin’ and Lovin’ Every Day tour in May. Starting on May 5th and running until the end of October, he’ll be making stops across the U.S., from New York to California and everywhere in between! Share this with other Luke Bryan Fans!